5 a.m., Cafe du Monde. James is a familiar face around the French Quarter, but because he seems to suffer from an unidentified psychological impairment, he speaks mostly in gibberish and details about him are consequently scant. That sentiment seems to be fairly common: Upon seeing this print at the NolaVie Pop Up Art event on October 8, one restaurant owner declared, “I know him! I feed him every day for free.” Someone else told me a story about hearing James play piano many years ago at Lafitte’s Blacksmith Shop, and she believed the impairment was the result of some trauma he experienced in Vietnam. 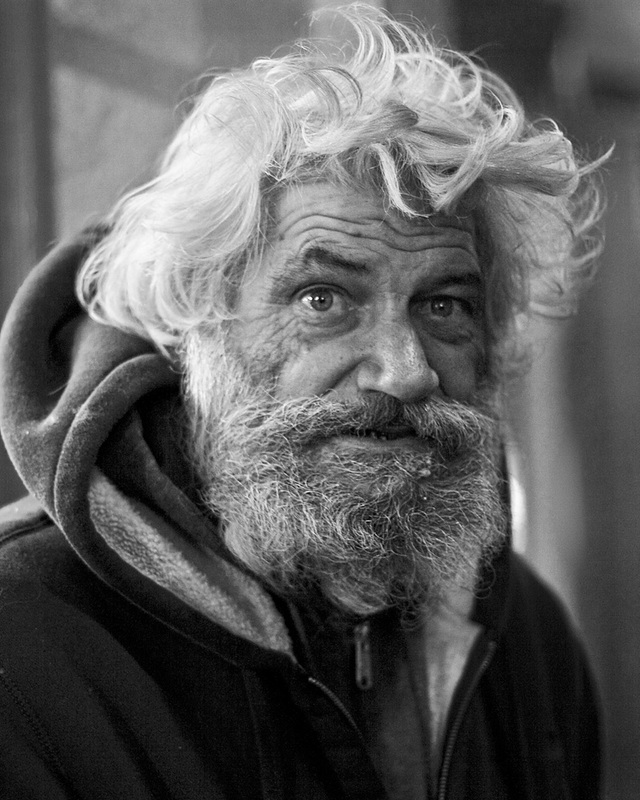 I first saw him in Cafe du Monde early one morning before starting a sunrise walk through the Quarter with my camera. It was a cold day, and the place was pretty empty except for a policeman, a couple of tourists and two or three members of the wait staff. James shuffled in, standing at least 6-foot-2, and mumbled a few things to the waiters. When he walked outside I followed him, asking if I could buy him a cup of coffee in exchange for taking his picture. He agreed, and as I snapped a few shots he told me in a good-natured, friendly tone something incomprehensible about Humphrey Bogart and the balcony across the street. Love NOLA. A man. And a city.